Outrageous! Never in my wildest dreams could I imagine the mind-blowing opportunity that presented itself Saturday, March 3 in Bozeman, Montana – of all places. I was there to proudly watch the Screaming Eagles Pep Band (and most notably watch my son, Solomon, play the sousaphone) at the Class A Boys Basketball state tournament. Go Eagles! With a bit of time on our hands, my husband and I decided to take in a movie. Upon searching the showtimes, we learned that “The Dark Crystal” had a special showing at the Bozeman theatre. 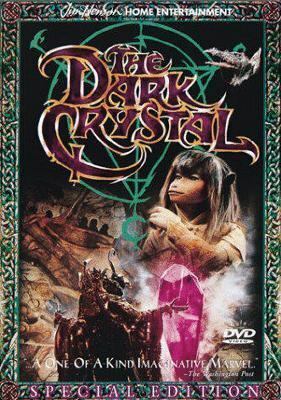 I was beside myself and insisted we go, as I had never seen “The Dark Crystal” on the big screen and my husband had never seen the movie in his lifetime. Growing up, I was a huge Henson fan. “The Muppet Show” was an all-time favorite. I loved the characters and how animated they were! I loved his imagination. Genius! The show debuted in 1976 and remains a classic. It’s timeless. If you’ve never seen it, I urge you to give it a try. “Sesame Street” also played a big part of my childhood. How kind and lovely the neighborhoods were. Sesame Street made learning fun. Jim Henson teamed up for this television show in 1969 and was an elemental figure in creating some of the well-known characters. You can bet that when I had kids I made certain to share my Jim Henson favorites. We enjoyed everything from “C” is for Cookie with Cookie Monster, Learning to Count with Count Dracula, Emmet Otter’s Jug Band Christmas, “The Labyrinth,” “The Muppet Show” and “The Dark Crystal,” to name a few. Henson created puppets to love and puppets to fear. And they all had potential to teach or share a message. My entire family loves Henson. I can say with positivity “The Labyrinth” is my daughter’s favorite Henson creation and my son had the most adorable cookie monster sweater that was the cutest in all the land. Seeing “The Dark Crystal” on the big screen with my husband was a memorable experience. Prior to the introduction, slides were displayed broadcasting little-known facts about the feature. I learned that Jim Henson practiced shooting the film in his very own backyard in New York City. Interesting! I learned that some of the puppets required numerous puppeteers to bring them to life. The main event opened with a video introduction hosted by Henson’s daughter, who narrated about her father’s passion for puppetry and the uniqueness of his art. Behind-the-scenes footage and commentary from his major productions were shared. Henson was an incredible artist who delved into an unprecedented artform and surpassed all expectation. “The Dark Crystal” is as relevant today as it was in 1982. The characters that come to life are conflicted with good and evil, balance and truth. The future of the land depends on Jen to heal the dark crystal by returning the missing shard of the crystal to complete the crystal and bring peace and harmony back to the world. It is an epic fantastical adventure mirroring the struggles of today. It was incredible on the big screen! As you can imagine we have Jim Henson at the Library. Come over and check out “The Dark Crystal,” “The Labyrinth,” “Christmas Toy Movie,” “Sid the Science Kid,” “The Bug Club,” “The Muppets Take Manhattan” or “Muppets From Space.” The biography, “The Story of Jim Henson: Creator of the Muppets” by Stephanie St. Pierre is available in the youth area. “Jim Henson: The Biography by Brian Jay Jones” is available via interlibrary loan for a small charge. Jim Henson left a legacy: Jim Henson Productions, Jim Henson Company, Jim Henson’s Creature Shop, along with his numerous other creations, continue to wow audiences worldwide. Henson was an amazing artist, filmmaker, screen writer and pioneer in puppetry. Sadly, he left us at the young age of 53 on May 16, 1990. His accomplishments and contributions are everlasting. What is your favorite Jim Henson creation?